In what is a surprise and controversial development for some, and a welcomed addition to others, President Donald Trump has nominated alt-right conspiracy theorist Alex Jones for White House Press Secretary, replacing Sarah Huckabee Sanders. After months of deliberation following an extensive study from the Rundex Family Foundation, in a stunning announcement Adobe Systems has decided to remove the Impact Font from all of its product offerings. Civic leaders and community organizers in the nation's self-proclaimed marijuana capital, announced this past week that the iconic former Gold Rush town nestled in the Sierra Nevada Foothills will host a "Halloweed Parade" on Tuesday, October 31st. 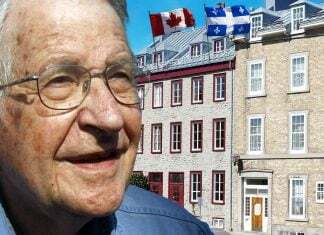 Renown MIT linguistics professor, media critic and social scientist Noam Chomsky has reportedly hired a Canadian real estate agent apparently with hopes of relocating to the United States neighbor to the north. AT&T Mobility along with its recent television provider DirecTV released a statement announcing that their service has lower rates of cancer than leading competitor Verizon Wireless.